DAY ONE: Attempt to normalize. I’ve said it before: night shift makes you weird. I rarely know what day it is, and this time I nearly missed my flight because my brain’s Thursday was reality’s Friday. Woops! I landed in Seoul a little bit confused. Customs took four million years, but I loved listening to the British couple behind me arguing about how bloody ridiculous their country was being by voting to leave the EU, and how Trump was a loon. The tattoos in the customs line alone were enough to write a book about. IF ONE MORE PERSON SNEEZES ON MY HEAD OR PUSHES THEIR DUTY FREE SHOPPING BAG INTO ME, I AM GONNA GIVE THEM SUCH A STERN LOOK. LIKE, SERIOUSLY. A REALLY STERN LOOK. Because it’s like super nice of them to allow me to visit their country and eat their pizza. A stern look is about how far I take it. I finally got through and started crawling towards Starbucks (because, of course). A direct super cush airport bus took me to my Air BnB in Gangnam, which was super convenient. My pocket wifi I’d snagged at the airport had me playing music and immediately napping, probably snoring. After a long day of travel, I had energy left for dinner and not much else. After all, ten hours ago, I had been a fully focused labor nurse and my mind was still switching gears. Don’t judge me. 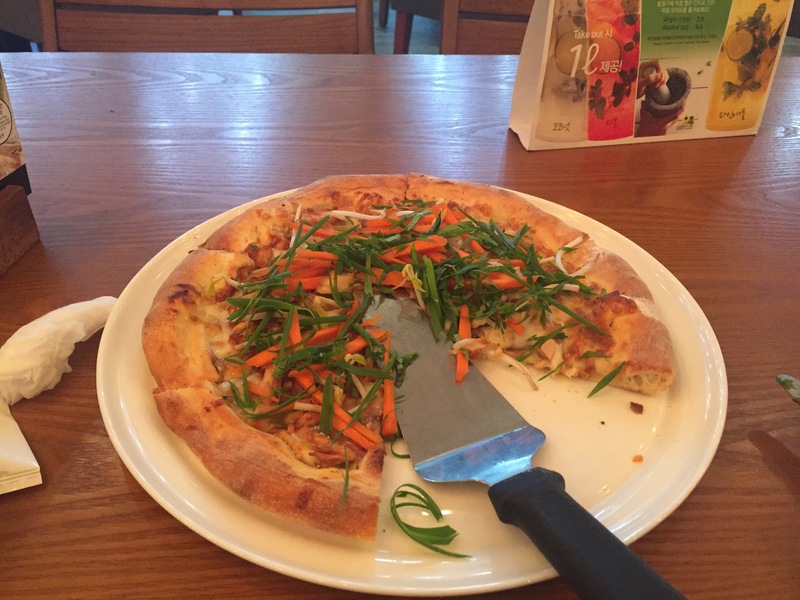 I had California Pizza Kitchen–In freaking Seoul!! It’s what sounded good. And then I watched Zootopia in Korean. My kind of vacation.